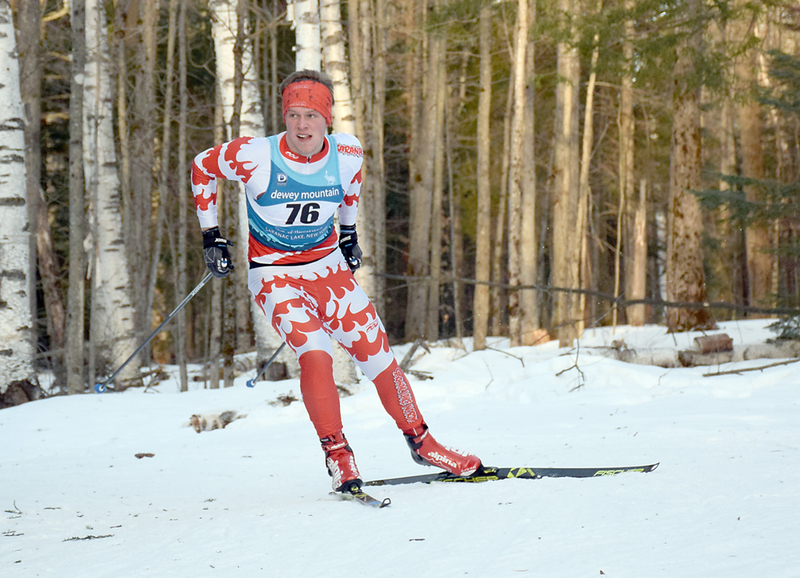 SARANAC LAKE — The Lake Placid and Saranac Lake Nordic ski teams began final preparations for this month’s state championship meet on Monday at Dewey Mountain with the first of two days of Section VII racing. 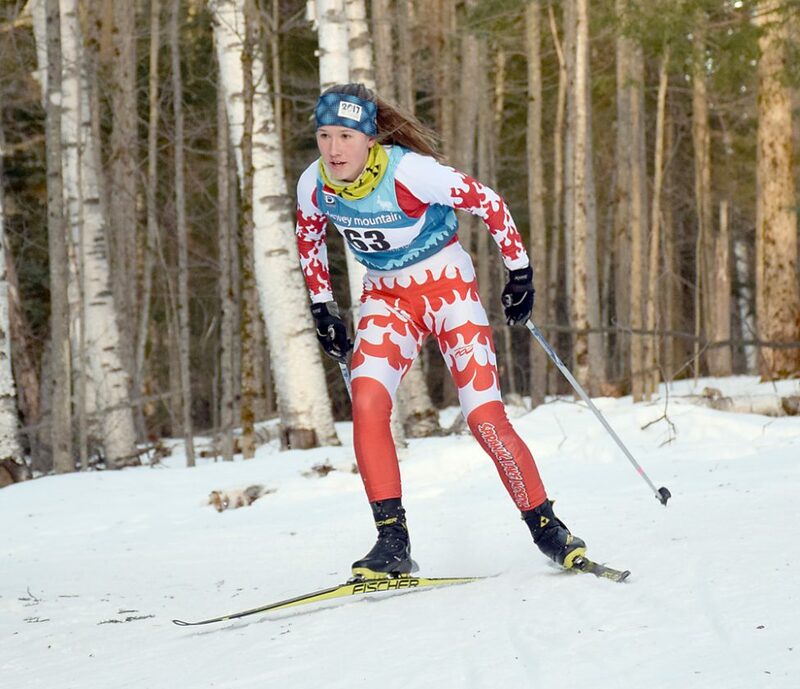 The two teams — the only Nordic ski teams in the section — kicked off sectionals with a three-person relay race, and each skier’s individual times on Monday determined their starting place on Thursday for the individual races. 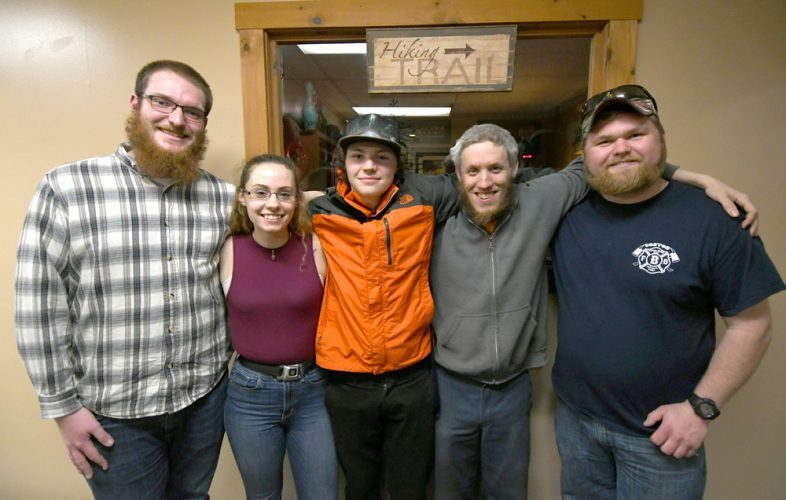 Thursday’s competition will finalize which skiers are going to the NYSPHSAA championships at the Gore Mountain Ski Bowl on Feb. 25 and 26. Saranac Lake boys and girls each took first place in the relay. The girls team of Sylvie Linck, Sophia Kelting and Evelyn Eller completed the 7.5-kilometer course with a combined time of 33 minutes, 6 seconds. On the boys side, Jacob Alberga, Adrian Hayden and Nick Kelting finished with a time of 26:50. 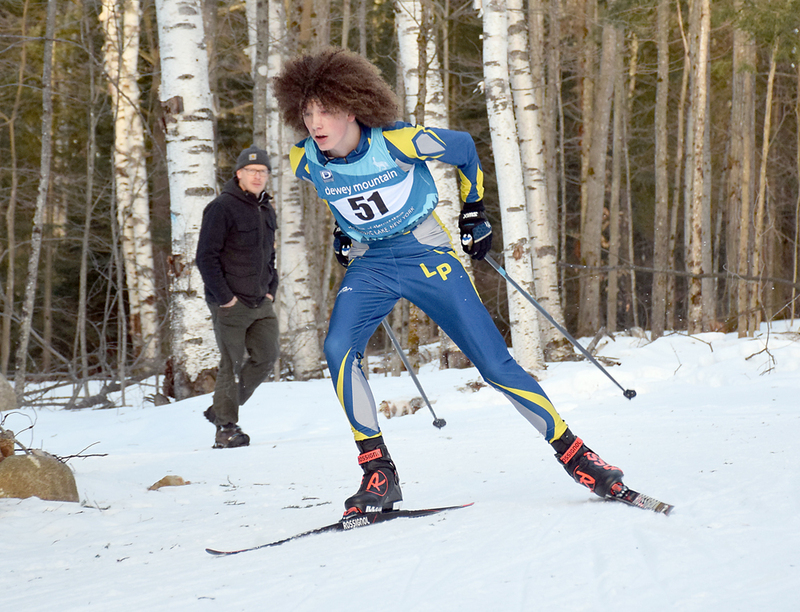 Lake Placid took second in each race, with Kai Frantz, Max Flanigan and James Flanigan finishing in 27:33, while Lura Johnson, Lynn Palen and Annie Rose-McCandlish put together a finish time of 33:48. The Red Storm rounded out the top three teams, with Colter Cheney-Seymour, Brennan Nobles and Taylor Samburgh placing third in the boys race, while Bella Wissler, Jordanna Samburgh and Katie Samperi took third in the girls’ contest. 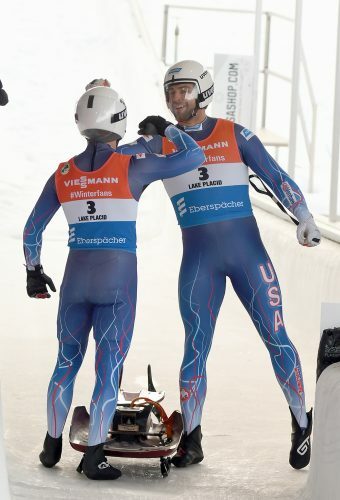 Individually, Frantz (8:35) and Linck (10:29) each posted the fastest times of the day, meaning they will be the first off the line at Thursday’s race. Each racer after them will start the same number of seconds behind as they finished on Monday. 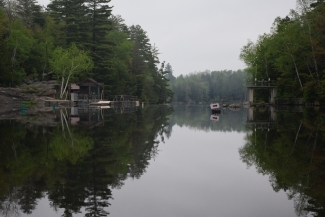 For the boys, Saranac Lake’s Colter Cheney-Seymour (8:43), Alberga (8:48), Hayden (8:56) and Kelting (9:06) will start after Frantz, while Johnson (10:48), Kelting (10:50), Rose-McCandlish (11:22) and Palen (11:38) will follow Linck off the start line. 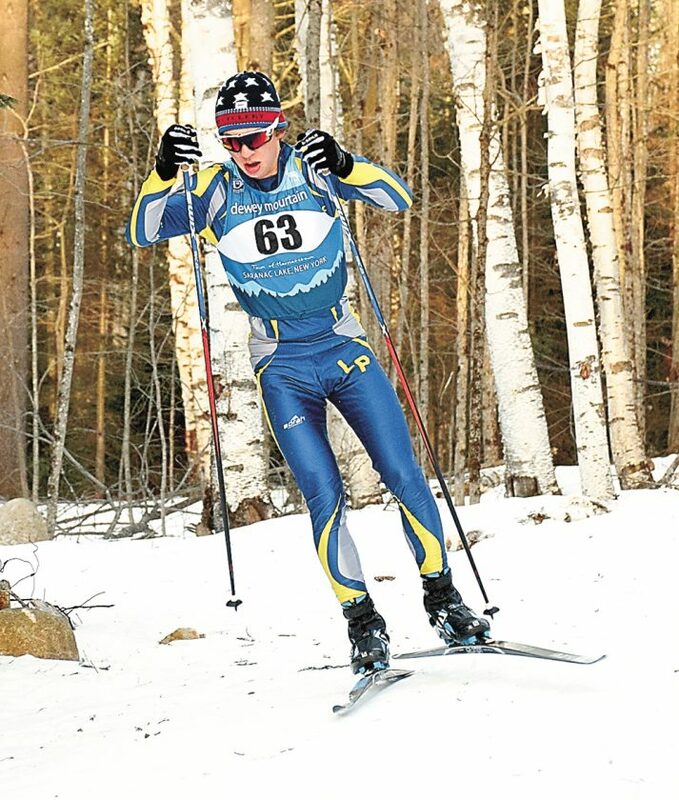 The second day of Section VII skiing action will be held at Mount Van Hoevenberg on Thursday at 3:45 p.m.